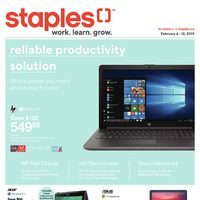 Staples Staples Flyer Roundup: Apple Watch Series 3 42mm $350, Logitech G633 RGB Headset $130, Microsoft Sculpt Desktop Bundle $100 + More New Flyer! 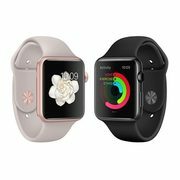 Apple Watch Series 3 $350 + More! Get all the tech and office supplies you'll ever need with this 13-page flyer and find deals on laptops, peripherals, wearables and more! This flyer is effective online and in Staples stores (where available) from February 6 to 12. Staples.ca offers free shipping for orders over $45.00, along with a free in-store pick-up option with no minimum order.